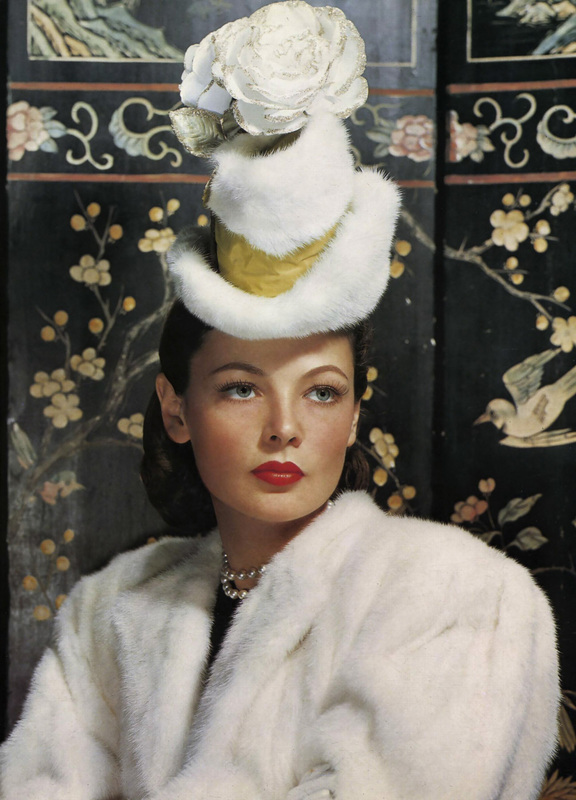 Gene Tierney. . HD Wallpaper and background images in the Classic Movies club tagged: classic movies classic actress. This Classic Movies photo contains fur coat, fur collar, fur accent, mink, and mink coat. There might also be sable coat and fur. Hard to wear sure ! But she still looks good in it !